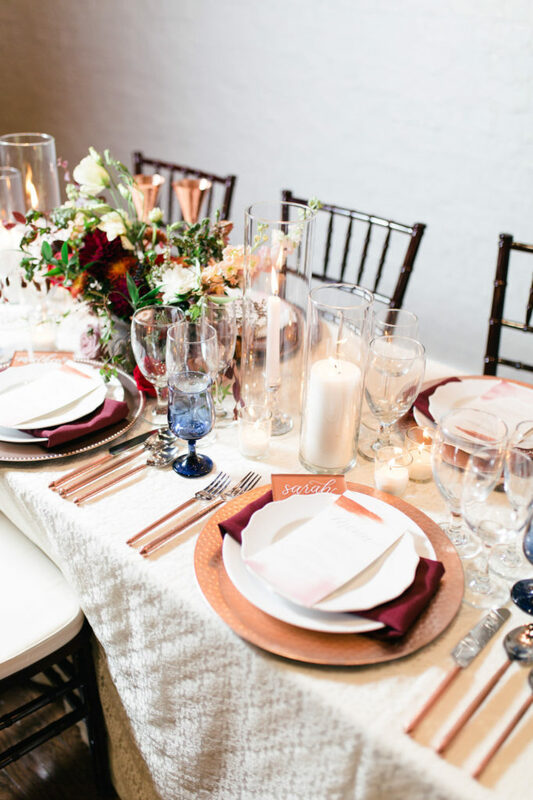 The vibrant colors of burgundy, navy, and copper in this styled shoot has us feeling like fall. 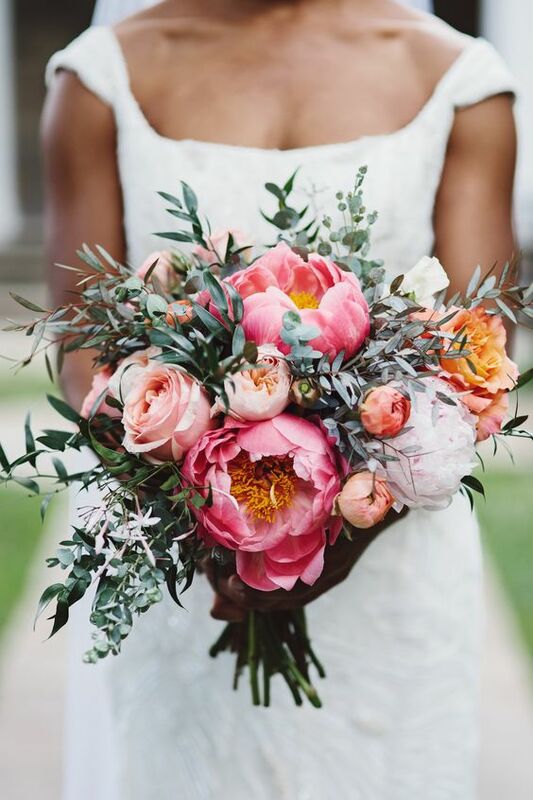 While it’s still in the mid-eighties smack dab in the middle of hurricane season, we absolutely love fall in the south where we embrace football, fall palettes and everything pumpkin spice not long after Labor Day – even if we have to crank up the air conditioner to enjoy them. 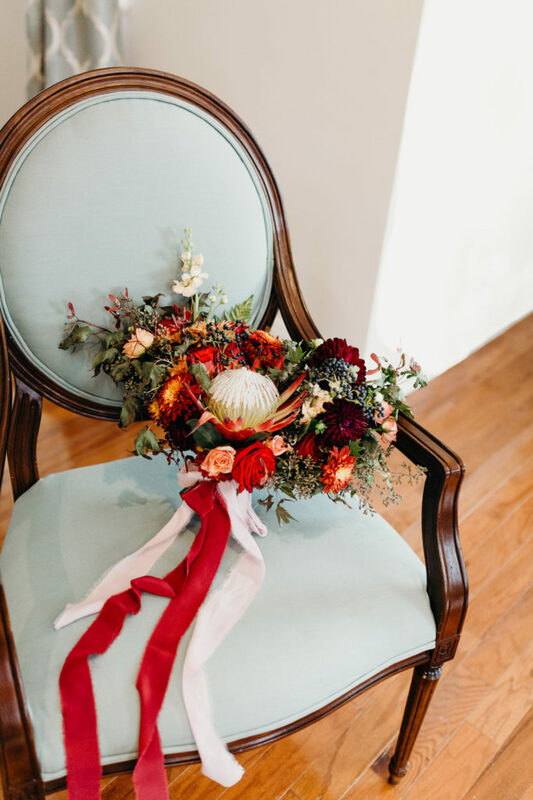 This gorgeous styled shoot gives us all the fall feels, and we are loving it! 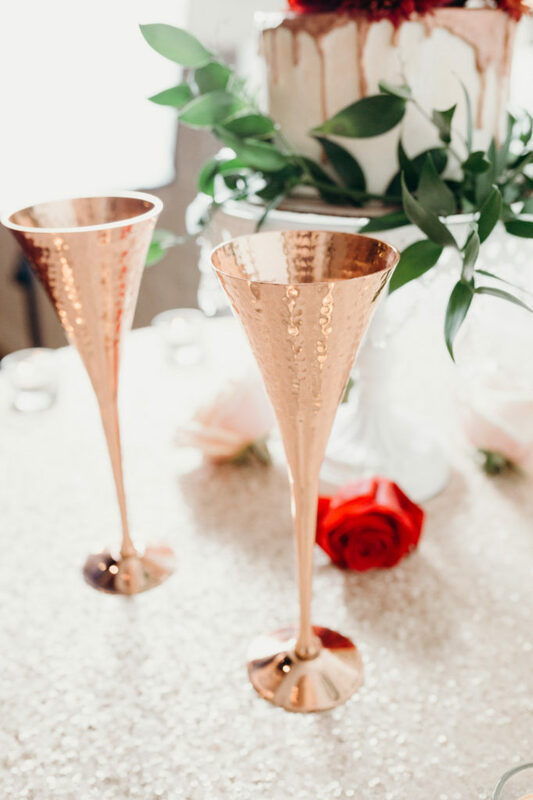 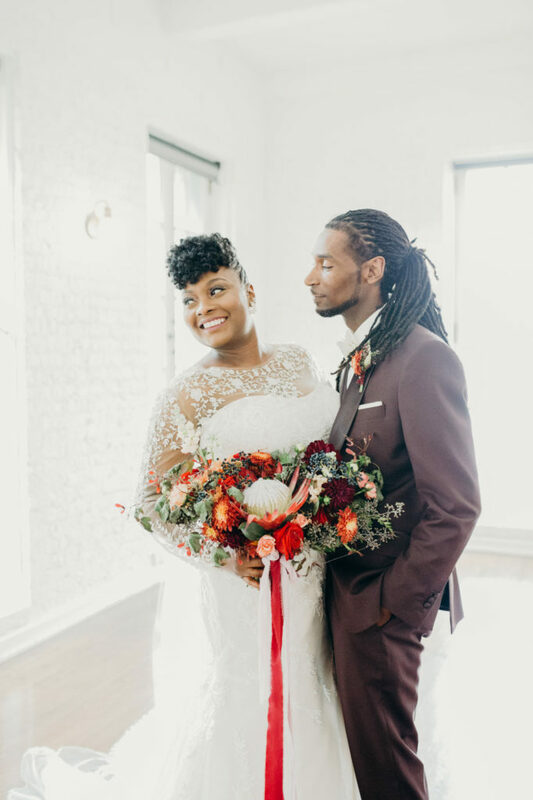 Submitted by A Queen’s Touch Events, this Virginia styled shoot combines rich, fall colors in rust, burgundy and navy with copper accents to create a simple event that still looks and feels luxurious. 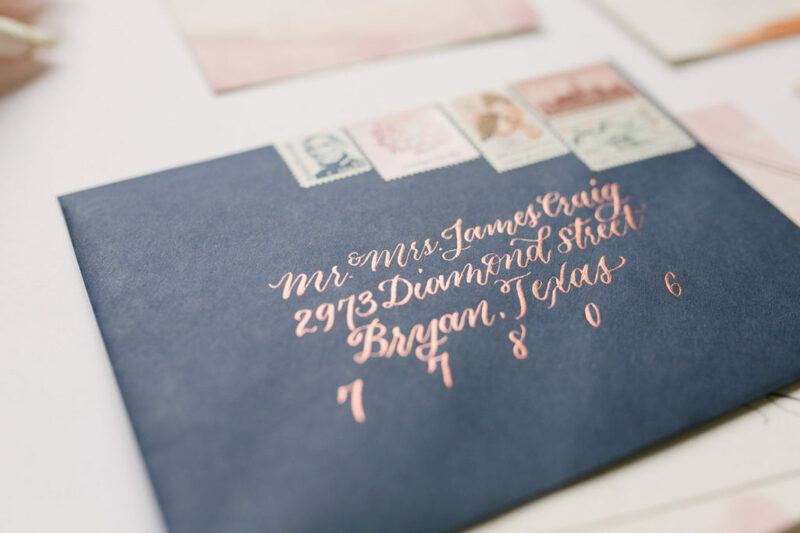 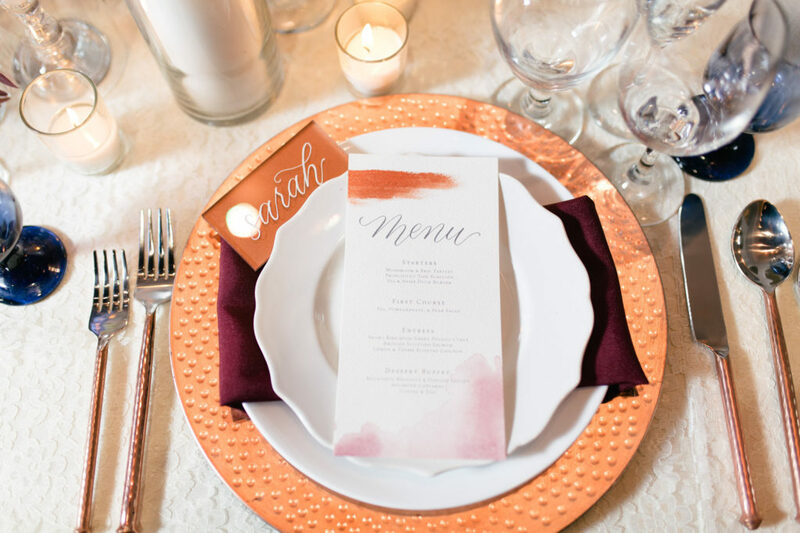 Even though copper has given way to gold accents for 2019, we can’t help be love the way the copper calligraphy looks against the blue envelopes of the stationery suite, and the chargers, flatware and champagne flutes in beaten copper are perfect fall accents for this tablescape. 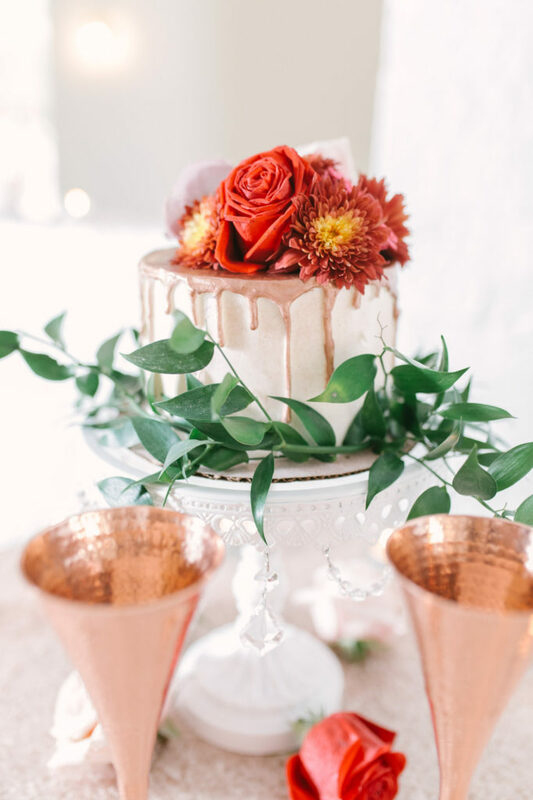 Don’t even get us started on that copper drip cake! 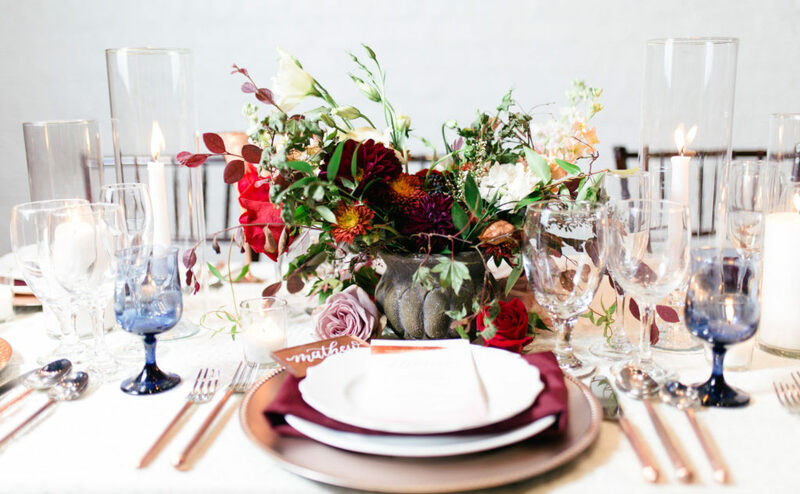 That drip piled with flowers in coppery rust tones is autumn-perfection! 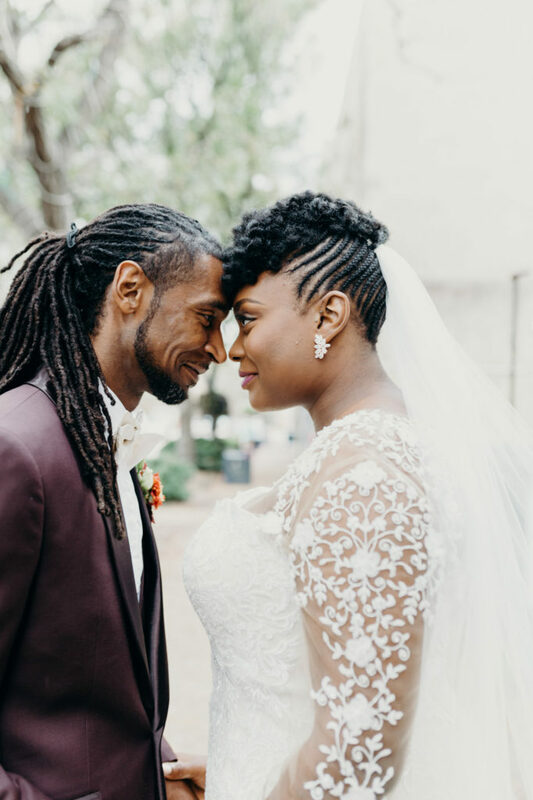 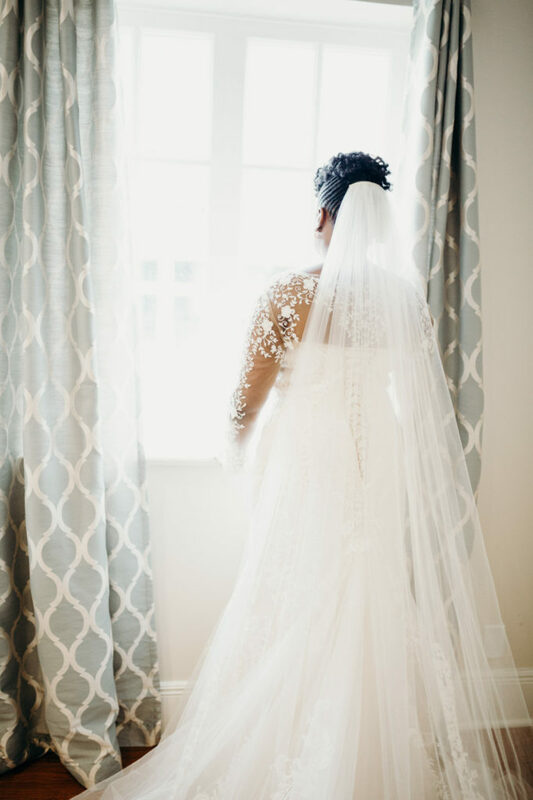 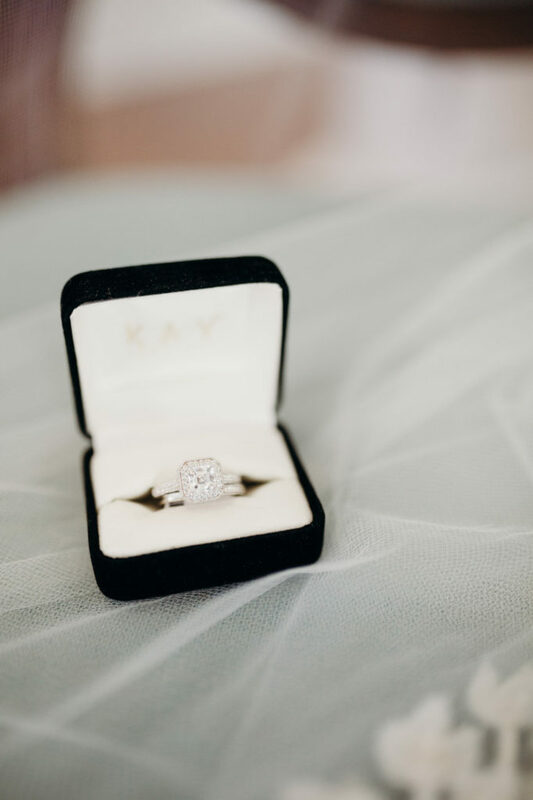 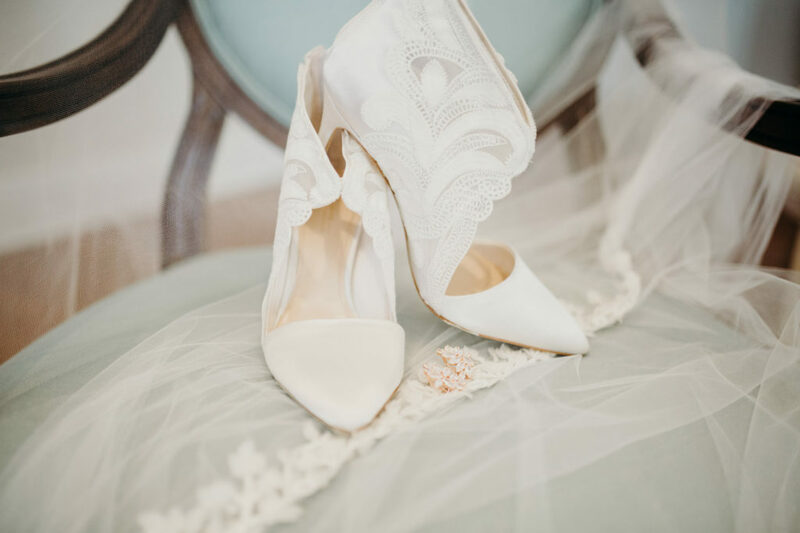 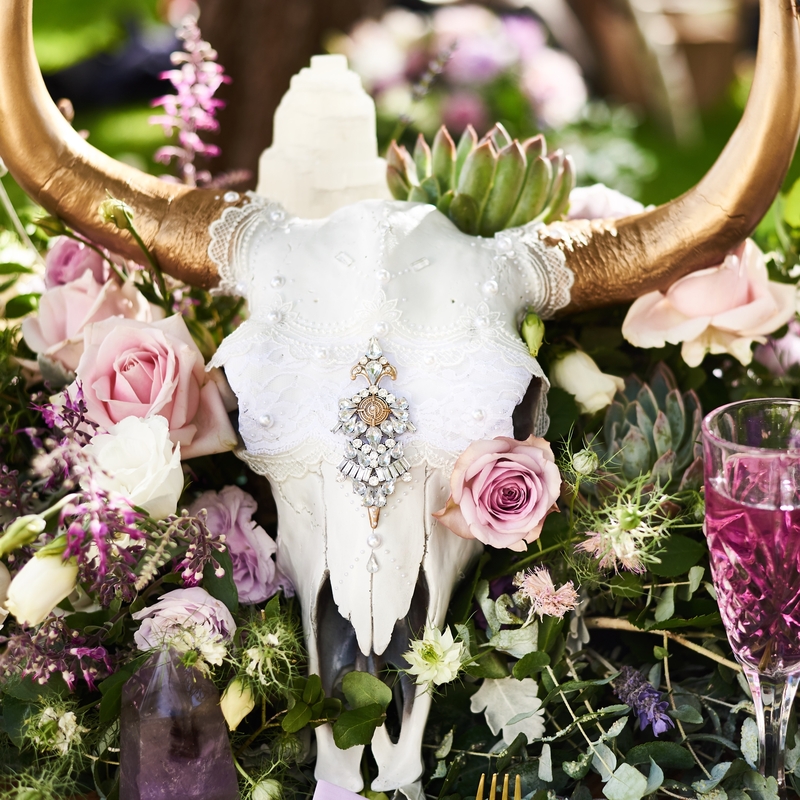 There is so much inspiration to be taken from this styled shoot. 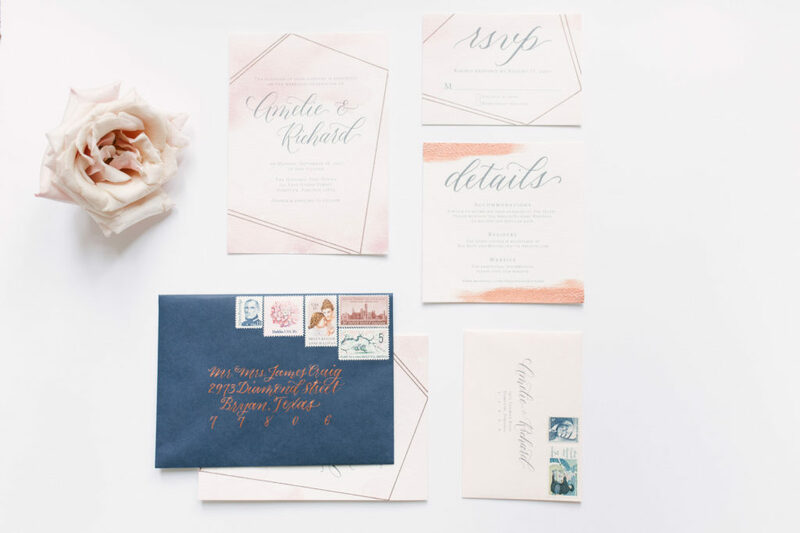 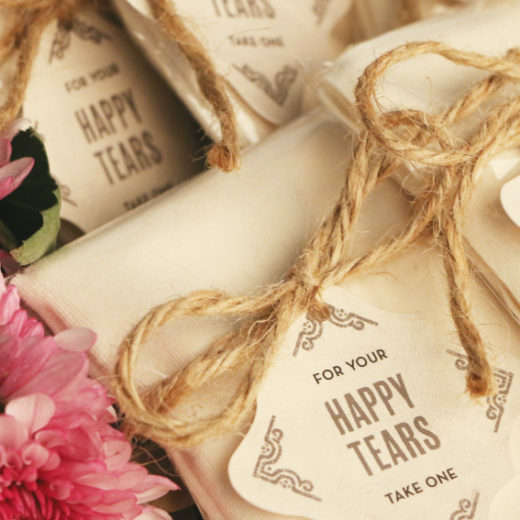 If flannel shirts and boots make your heart sing, this is definitely one palette worth stealing for your fall wedding.